I don't often immerse myself in women's fiction and when I read a book like A HEART LIKE MINE, I have to question why. I am not sure if it is that the blurbs just don't catch my attention or that I just don't think to look in that section. My reading habits are definitely going to have to change. 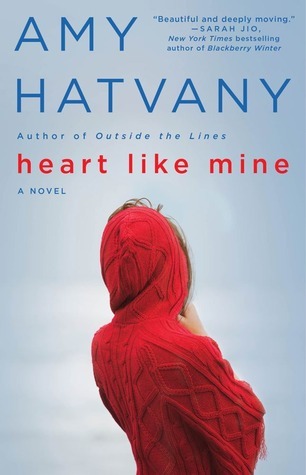 A HEART LIKE MINE blew me away in part because I could relate so easily relate to her. I also married a man with two children and there were a couple times where we thought that we would end up raising the boys. I really had to do some heart searching to determine if I was ready for the whole deal. Like Grace, I determined that I could if I had to though I didn't want children otherwise. Grace's perspective only took up a third of the book but I very much enjoyed Ava's also while I found Kelli's to be heart wrenching. Just another case of parents being so religious that they deserted their child in her time of need. A HEART LIKE MINE is very well written and destined to touch the heart-strings of any women but especially those women that decide to be become step-mothers. I recommend it highly and give it 4.5 stars.